What can Federal Solar Solutions do for you? If you are looking to save money on your power bill and help preserve the environment you’ve come to the right place. FederalSolarSolutions.com is your nationwide source for getting the information you need to make a good solar power decision. We have developed a nationwide network of solar installation companies that want to earn your business and help you start saving money. Plus our web site has lots of data, information and articles to help you get educated about solar power, costs, programs, and more. It takes less than a minute to fill out our free, no-obligation quote form right now. You may find that a solar solution for your home or business makes a lot of sense – Both from a money perspective and an environmental one. Solar Savings Calculator: See what you could save. Simply input your information into the calculator below to see an estimate of what you’ll pay over the next 20 years if utility rates continue to increase at 7%, as they currently are. Want to drastically reduce this number? With electrical utility rates increasing by around 7% annually (as measured over the last 40 years), solar could save you far more than you think. If these rates of increases continue over the next 20 years, the cost of a single kilowatt-hour will grow dramatically. 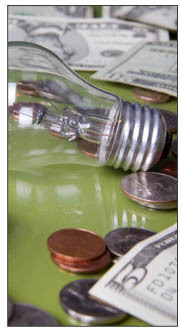 Currently, the average cost of a kilowatt-hour for US consumers is around 10 cents. For businesses it is around 15 cents. You can find your cost of a kilowatt-hour on your electric bill. Beyond the obvious and significant environmental benefits, a solar power solution could be a great money-saver for you in the years to come. Most people don’t consider the increase in power costs that happen every year. In fact, utility electrical rates have been increasing by around 7% per year for the past 40 years. So just looking at your current bill in evaluating a solar solution might cause you to make a very expensive decision if you decide that solar is too expensive. In truth, a solar solution could save you thousands over the next 20 years depending on where you live and other factors. FederalSolarSolutions.com can help you with your solar power needs! Our intro video explains our program and process – as well as how we can help you with all your solar research and information needs. If you are looking for a solar solution for your home or business, we can probably help you. Best of all the quote process is totally free with no obligation on your part whatsoever! There are many financial incentive programs on the Federal, State, and Local level that encourage private homeowners to lower energy usage and to adopt solar power solutions. A wide variety of tax credits and rebate programs can help to subsidize the cost of installing solar power systems. Programs may cover up to 30% of solar system costs. Homeowners can take advantage of a 30% federal tax credit on residential solar systems through the Residential Renewable Tax Credit. The credit will remain in effect through 2016. In most instances, homeowners who switch to solar power solutions for their home are able to take advantage of zero down-payment programs. Because of this, after the actual upfront cost, solar electricity is essentially free. With financing options holding at attractive rates, consumers can make the switch to solar in a very cost-effective way. According to the U.S. Department of Energy, ” . . . going solar adds value to your home. According to the Appraisal Journal, a solar electric system increases your home’s value by $20 for every $1 in annual utility bill savings . . . “ That’s a significant number if you are looking at home values! Solar Power: Innovation that is changing the world. FederalSolarSolutions.com is dedicated to helping US consumers and businesses find a solar solution that is right for them. We’d like to thank you for visiting our site and for using it as part of your Solar Power search. FederalSolarSolutions.com offers tremendous information, links, and research articles to help you in your decision-making process. The solar movement is real and impactful – both from an economic perspective and from an environmental one. And even though solar subsidies have changed, there are many creative and interesting ways that solar companies are providing to help reduce the cost of installation. Using these methods, you may be able to deploy a solar solution and make payments that are less than your current electric bill! By using our free quote request form, FederalSolarSolutions.com can provide you with free, no-obligation quotes to see if a solar power solution could work for you. Get your free, no-obligation solar quotes today!